The Bonsai Exhibition returns to North Haven Gardens! the Bonsai Society of Dallas. Join us once again for a weekend of beautiful bonsai as we bring together member's trees for an annual showing. For 2019, many new varieties of trees will be on display, along with the traditionally displayed elements such as stands, companion plants, and painted scrolls. Experience the peaceful contemplation and learn more about the timeless beauty of this ancient art, and vote for your favorite tree. You may be inspired to become a member and create your own! Free and open to all, the Exhibition is open Saturday March 2nd 9am - 5pm, and Sunday March 3rd 10am - 4pm. Ask for Your “American Bonsai Society” $95/Night Special Rate! On line registration ends April 5. Mail in registration must be postmarked by April 5. An educational Bonsai event in conjunction with World Bonsai Day. Every year on Memorial Day weekend, the Bonsai Societies of Florida hosts their annual BSF Convention. The event is held at The Florida Hotel & Conference Center conveniently located at The Florida Mall in Orlando, Florida. Bonsai enthusiasts from all over the southeast participate in a 3 day event full of workshops, demos, vendor area, raffle areas and exhibits. Bonsai artists from around the world teach the bonsai arts thru demos and workshops. A vendor area with over 75 tables gives participants the opportunity to purchase bonsai trees, tools, books, fertilizer and more. A world class exhibit showcases some of the best trees in the U.S.
Don’t miss the opportunity to take part in Florida’s biggest bonsai event. An event that has grown over the years of presenting. Bonsai, suiseki with exceptionally high-level pots. To make the International Meeting of Bonsai & Suiseki one of the most prestigious events dedicated to bonsai and suiseki. 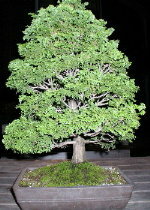 More than 250 among bonsai, shohin, suiseki and pots displayed.